bObles Donut is a fun, inflatable piece of furniture that invites children to move and play while supporting the development of their motor skills. 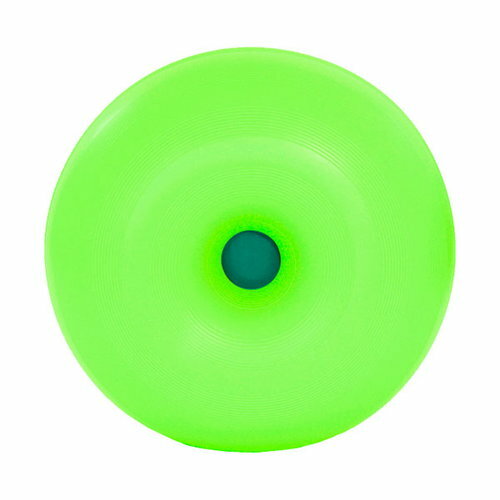 Due to its round shape and elastic material, the Donut can be used for countless activities including rocking, jumping, balancing as well as lounging. It is easy to clean and store when not in use. bObles Donut is ideal for children of all ages: older kids can use it on their own and younger kids together with an adult. In 2006 architect Bolette Blædel and designer Louise Blædel felt that children's furniture on the market was just regular furniture on a smaller scale. The sisters created bObles, a line of colourful and multifunctional furniture, custom-designed for kids and their needs.